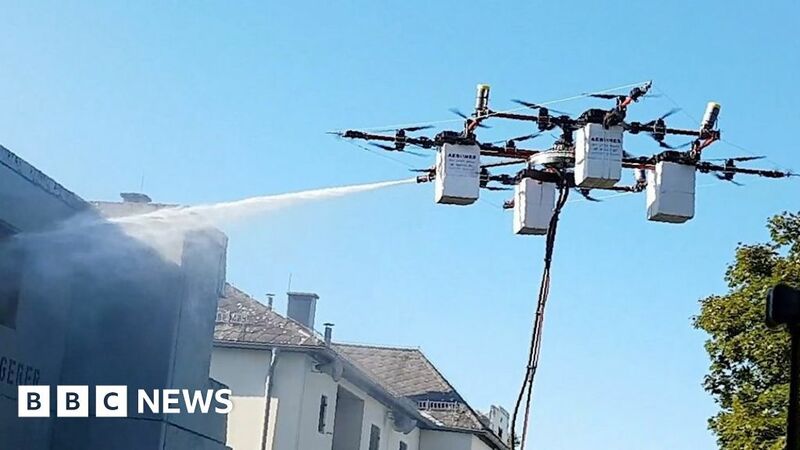 A huge drone that can wash buildings and put out fires is being developed in Latvia. The Aerones drone weighs about 55kg (121lbs) and is tethered to the ground with a hose. The company says it can clean buildings 20 times faster than humans and fly higher than firefighter ladders can reach. When 5G mobile connectivity arrives it will be able to stream high-definition video to operators on the ground, Aerones says.